230 pages | 20 B/W Illus. With Islamophobia on the rise in the US since 9/11, Muslims remain the most misunderstood people in American society. Taking as its point of departure the question of the compatibility of Islam and democracy, this book examines Muslims’ sense of belonging in American society. Based on extensive interview data across seven states in the US, the author explores the question of what it means to be American or un-American amongst Muslims, offering insights into common views of community, culture, and wider society. Through a combination of interviewees’ responses and discourse analysis of print media, Muslim Americans also raises the question of whether media coverage of the issue might itself be considered ‘un-American’. An empirically grounded study of race and faith-based relations, this book undertakes a rigorous questioning of what it means to be American in the contemporary US. As such, it will appeal to scholars of sociology and political science with interests in race, ethnicity, religion and national identity. 4. Is the Media ‘Un-American’? Nahid Afrose Kabir is an Adjunct Professor at the Prince Alwaleed bin Talal Center for Muslim-Christian Understanding, Georgetown University, USA. She is also an Adjunct Senior Research Fellow at the School of Education, University of South Australia, Australia. Nahid A. Kabir was a Visiting Fellow at the Center for Middle Eastern Studies at Harvard University, USA in 2009–2011. She is the author of Muslims in Australia: Immigration, Race Relations and Cultural History; Young British Muslims: Identity, Culture, Politics, and the Media; and Young American Muslims: Dynamics of Identity. Watch the book talk with author Nahid Afrose Kabir, chaired by Jon O. Voll Professor Emeritus of Islamic History at George Town University. The debate covers notions of American and "un-American" which covers the title Muslim Americans by author Nahid Afrose Kabir, watch the exciting debate. 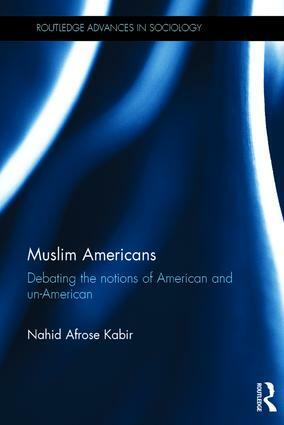 Following the debate on the notions of American and "un-American" which covers the title Muslim Americans by author Nahid Afrose Kabir. The talk is opened up to the audience to ask Nahid questions on the themes covered in the book, watch the video to find out more.